Rabbi Twerski's Talk - "Teshuvah Through Recovery"
Those who couldn't make it to Rabbi Twerski's talk last week in Jerusalem can view a video of the event at this link. To watch Rabbi Twerski speaking about GYE click here (or jump to 50.40 in the video above). 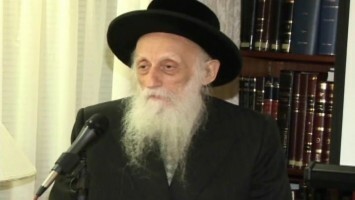 MP3 audio of Rabbi Twerski's talk. Audio excerpt just about GYE.